How To Crush it this Holiday Season? How To Dominate your Market long-term? How To Separate yourself from the competition? This training that will be released by Earnest has never been revealed publicly and has been his secret sauce to crushing it with every niche he's dived into! For a Limited Time Only he's opening up access to allow others to learn these strategies and techniques so they can apply them immediately to get results. GET ON THE WAITING LIST ASAP BELOW! Who is the Holiday Offer Training for? Anyone looking to level up for the holiday season and wants a way to dominate their niche! 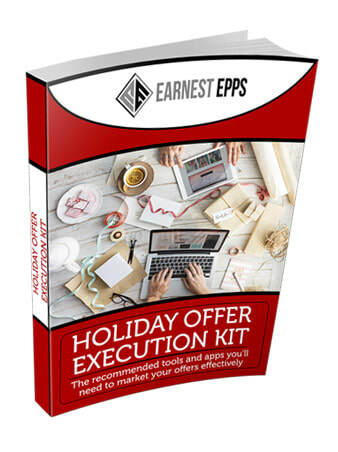 It doesn't matter if you're brand new or if you're crushing it at $50K+ per month you'll want the extra edge for the holiday season. What if I don't have a store yet? Will these strategies work any type of products?